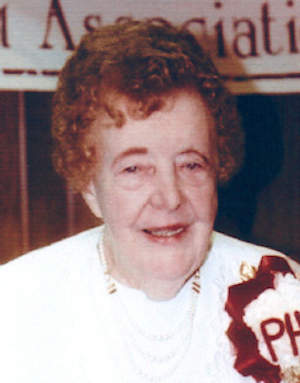 Obituary – Harris, Warenne (Kennedy) « Perry High School Alumni Association, Inc.
Warenne Kennedy Harris was born to Hazel (Eby) and Ivan Kennedy in Tulsa, Okla. on April 29, 1914. She died Dec. 19, 2012 in Ft. Lauderdale Fl. She was a graduate of Perry High School and Oklahoma State University. While a student at OSU she wrote “Dear Old Perry High” which is still in use at Perry High School today. Warenne was employed as an organist in Southern California most of her adult life. She married Charles Harris. 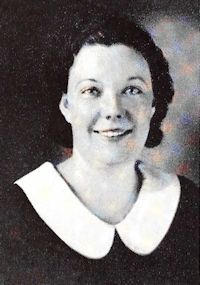 She was preceded in death by her husband Charles, her parents Hazel and Ivan Kennedy of Perry, her sisters, June Jerome of Colorado Springs, Co., Margie Talbot of San Antonio, Tx., Carroll Pleasinger of Rolla, Mo., and a brother, Bob Kennedy of Shawnee, OK., She is survived by her sisters, Donna Golliver, Oklahoma City, Ok., and Betty Anderson of Prauge, Okla., as well as severial nieces and nephews. A memorial service will be held at the First United Methodist Church in Perry at 2 p.m. Saturday, April 13, 2013 followed by interment at Grace Hill Cemetery.